Cleaning area rugs is quite a challenging task. It depends on the size of the rug and the material used. It could take hours before you get things done. The problem is that when you clean it using a vacuum, it will only remove debris on the surface. You will still find dust and dirt hidden underneath. Make sure you avoid these common mistakes if you desire to clean the rug completely. It is common to use ‘elbow grease’ in removing carpet stains. The problem is when you decide to use a lot, it could affect the quality of the fibers. You could also rub the stain too hard and cause the threads to fray. The key is to use a clean white cloth for blotting and absorbing as much of the stain as possible. It helps if you have runners placed underneath the area rug. They are perfect for areas that receive heavy traffic. They help in protecting the rug from wear and tear. The problem is when you do not use a runner some areas start to look damaged while others are still intact. When you use a runner, it could get affected by heavy traffic, but it is much easier to replace than the area rug. Sometimes, the material used in creating the rug could be very sensitive, especially if you use an incorrect cleaning product. It might contain chemicals that are too harsh. They could lead to discolouration of the rug. You need to study the materials used in making the rug so that you can use the right stain removal product. Although it is not enough if you only vacuum the rug, it also does not help if you avoid doing it. You still need to remove the debris from the surface. Besides, you do not deep clean the rug all the time. Since it is easy to vacuum, you need to do it often. Do not wait until you see visible debris before getting the equipment to start cleaning. You might not see the fur of your pets or dust hidden in between the fibers. You need to consider hiring a professional cleaner instead of determining how to clean an area rug yourself. You might do it right, but there is a chance that you could make mistakes. Professionals know what they are doing. They will study the rug first and determine the best way to clean it. You will not need to think about anything else since they will do everything until the rug is ready to use again. You might have to spend for this service, but you will be saving money since cleaning fees are lower than purchasing a new area rug. 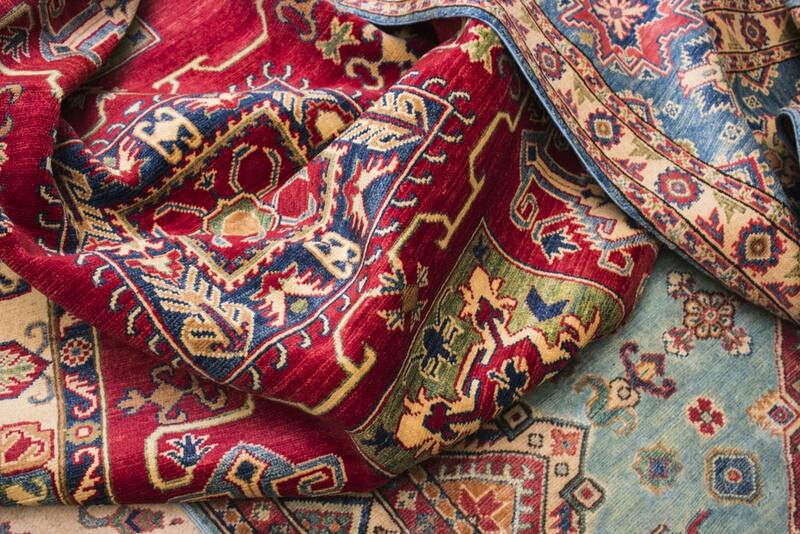 Now that you understand these mistakes, you can avoid them and ensure that your precious rug will last a long time.